Last weekend was a discouraging weekend for the supporters of equalisation. It’s no secret by now that three worst teams in the league over the last few years have been Brisbane, Carlton and the Suns, and all three got absolutely flogged at the weekend. 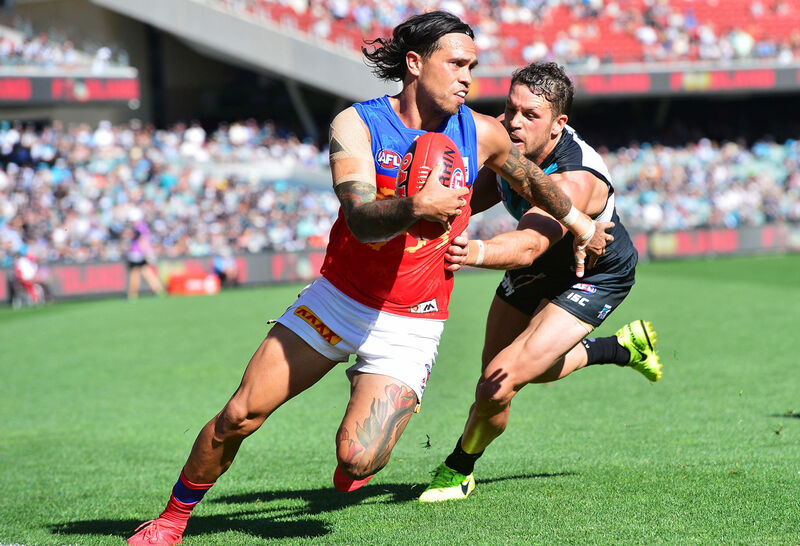 Brisbane posted their lowest ever score; Carlton got humbled by perhaps one of by the fellow rebuilding clubs, North Melbourne; and the Suns completed ten days of pain over in Perth. Nothing to see here – much the same has been happening for the past few years. At what point does the rot start to become entrenched? These three clubs are almost stubbornly bucking the conventional wisdom that sides cyclically rise and fall. Not so much because of what they are doing, but because of what other clubs are executing and benefiting from. 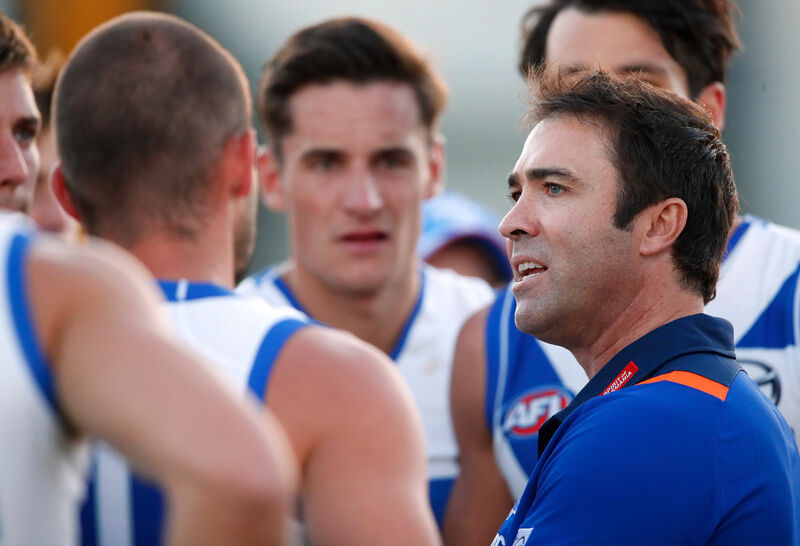 What is often overlooked is that climbing the AFL ladder is a relative exercise. The rungs a club has to climb aren’t passively horizontal, they’re kicking down with everything they can muster. Rebuilding isn’t a peaceful construction site where you’re painstakingly restoring a dilapidated structure to its former glory. Most weekends 22 toughs from another site come around and bash up all the foundations and structural confidence, so you’re constantly making running repairs so it doesn’t all slump over. Free agency is one of the most important factors, as are player veto rights over trades. This is a bit of sleeper issue, and while it’s certainly not the sole reason, it has a significant enough impact on list development to be considered part of the problem. Let’s start by looking at the AFL playing community as a whole. Excluding rookies, there are about 680-odd players on AFL senior lists across the country. Break it down further and there are only about 480 who’ve actually made a senior debut. There are only about 180 current players who’ve played more than 100 games. These are the key players in the AFL. They’re going to be the ones who will have the most impact most of the time and are the core of any club’s list. What’s interesting about this list is that it shows club of origin as well as subsequent clubs a player has gone to. In terms of the clubs who have lost their most valuable players, there are four clear leaders: Adelaide, Brisbane, Carlton and Gold Coast. Adelaide benefits as much as the Eagles by being the original and largest club in a heartland state. This is no condemnation, it’s just the way it is. In terms of 100 gamers, they lost Matthew Wright, Patrick Dangerfield, Phil Davis, Jack Gunston, Lachie Henderson and Bernie Vince, but they’ve prospered regardless as they’ve managed to attract some excellent talent back the other way in Eddie Betts, Bryce Gibbs, Sam Jacobs and Tom Lynch. Adelaide have also drafted exceptionally well. I regard their success as being in spite of their player exodus, which is a commendable achievement for a club. The others, however, not so much. In terms of 100 gamers, Brisbane brought in Dayne Beams, Allen Christensen, Mitch Robinson and now Luke Hodge, the first two due to personal circumstances, and it cost Brisbane picks five, 19, 25 and Jack Crisp. Robinson was unwanted and has reinvented himself at the Lions, although within his limitations, and Hodge is here for a coaching role and will not have a long-term impact on the field at least. No player has approached the club out of free will or desire. However, they lost Josh Green, Michael Rischitelli, Pierce Hanley, Tom Rockliff, Jack Redden and Elliot Yeo. Sam Docherty will surely be included in that list in coming years too. Carlton have lost Eddie Betts, Bryce Gibbs, Sam Jacobs, Mitch Robinson, Zach Tuohy, Jarrod Garlett, Jarrad Waite, Shaun Grigg and Josh Kennedy in terms of 100 gamers still active. There are obviously various reasons for leaving. In terms of what they got back, Matthew Wright and Dale Thomas are ont he books. That’s it. The Suns have lost Brandon Matera, Zac Smith, Josh Caddy, Charlie Dixon, Trent McKenzie and Dion Prestia. 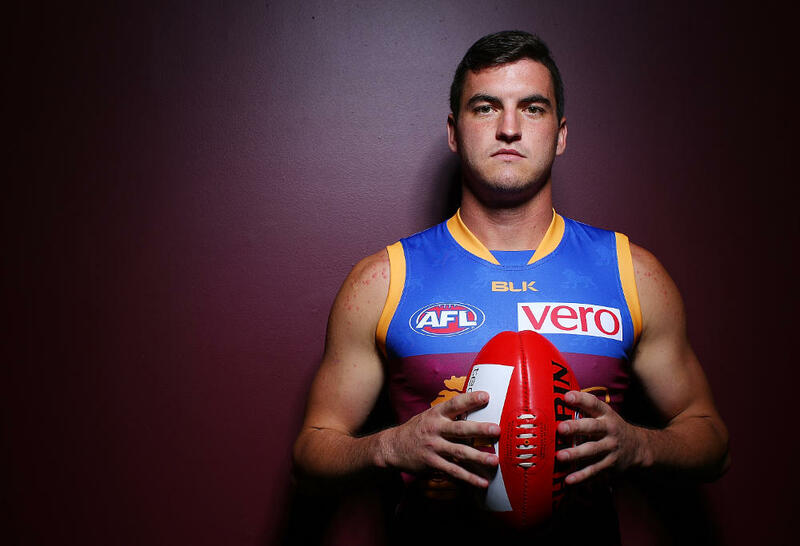 O’Meara hasn’t played 100 games yet, but if he stays injury free, you’d assume he will. In return, they got Michael Rischitelli, Pierce Hanley, Jarrod Harbrow and Matt Rosa. The Suns also have Jarryd Lyons, and they recently had to throw pick two to get Lachie Weller. I think it’s safe to say that the player quality they lost has not been replaced by the quality they got back. So what? Every club loses players. This is true. But it’s the circumstances in which they lost players and the types of players they lose that separates the more successful clubs from the rest. Speaking of successful clubs, let’s look at some of the most successful teams. Let’s start with Geelong. Allen Christensen left with their blessing and Travis Varcoe wasn’t wanted, nor was Steven Motlop. Gary Ablett, well, they got him back again, didn’t they? They also got in Patrick Dangerfield, Zach Tuohy, Zac Smith, Rhys Stanley and Scott Selwood. The Hawks have lost seven current players in Luke Hodge, Josh Hill, Jordan Lewis, Shane Savage, Lance Franklin, Josh Kennedy and Matt Suckling, yet you’d argue Franklin was the only one they’d be disappointed long term with losing. Lewis stuffed them last year by leaving unexpectedly before they were ready to cover him, but they appear to have moved on from that, and the others were either traded or encouraged to leave. 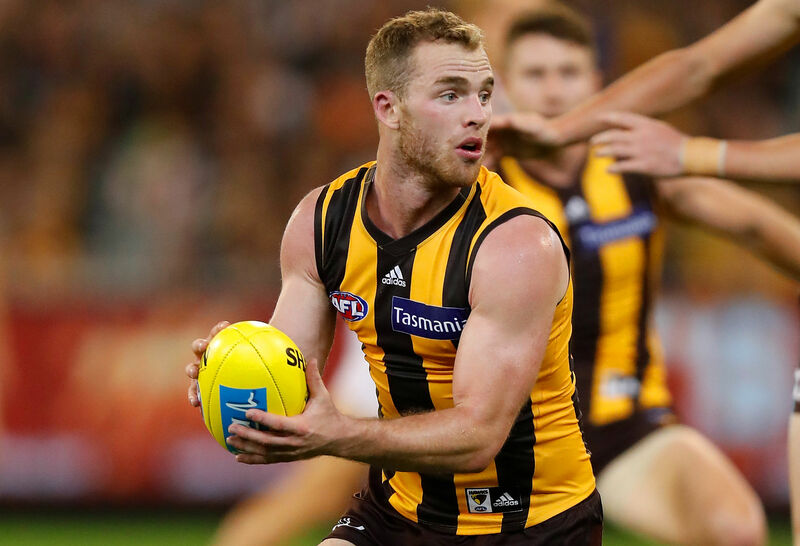 By the way, they got in Jack Gunston, Lachie Henderson, James Frawley, Shaun Burgoyne and Ben McEvoy, plus two players called Tom Mitchell and Jaeger O’Meara as well. Interestingly North Melbourne haven’t lost any current 100 games to any other club. Perhaps continuity in their squad is part of the reason why they’ve managed to bounce back relatively well despite being a heavily depleted side. Port Adelaide lost Shaun Burgoyne, Jack Trengove and Danyle Pearce. They got back in Brad Ebert, Jack Watts, Motlop, Tom Rockliff, Charlie Dixon, Trent McKenzie and Paddy Ryder. I’d take that trade. The only player Richmond have lost is Brett Deledio, but they got in Josh Caddy, Dion Prestia, Shaun Grigg, Bachar Houli. Sydney, too, have lost only one player in Lewis Jetta. They brought in two in Josh Kennedy and Buddy Franklin. Not a bad result. 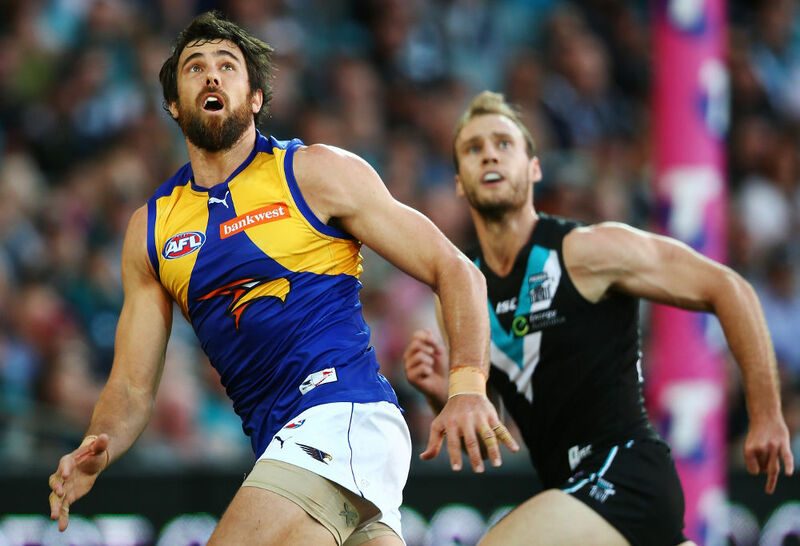 The West Coast Eagles have lost Matt Rosa, Scott Selwood and Brad Ebert but attracted Lewis Jetta, Patrick Cripps, Josh Kennedy, Jack Redden and Elliot Yeo. I realise that there are a huge amount of draft picks that also changed hands as part of this process, but the point is that the draft picks are only worth it in the long run if the player drafted is not just successful but stays at the club. This process may well become entrenched if the ratio of clubs to key players remains the way it is. As I said, there’s only about 180 players who’ve played more than 100 games on lists, and it’s not an even split between the clubs. If you look at the number of 100-plus gamers in the best 22, you’ll see Adelaide, Hawthorn, Geelong, Port Adelaide, Sydney and Richmond all have 10 or more. Brisbane, Carlton, the Suns and the Saints all have about six apiece. The point in assembling all of this is to show that the clubs who have been most successful in recent years have also been the ones benefiting most from the trade in experienced players. Does anyone see this ratio changing? I certainly don’t. Salary cap flexibility is such now that clubs will find ways to bank the space they need to really attract a player they need or structure his contract in such a way that years three and four are a massive financial bonanza, even if they can’t afford him now. What’s important is that as soon as a player talented enough is on the market, multiple clubs are into him. 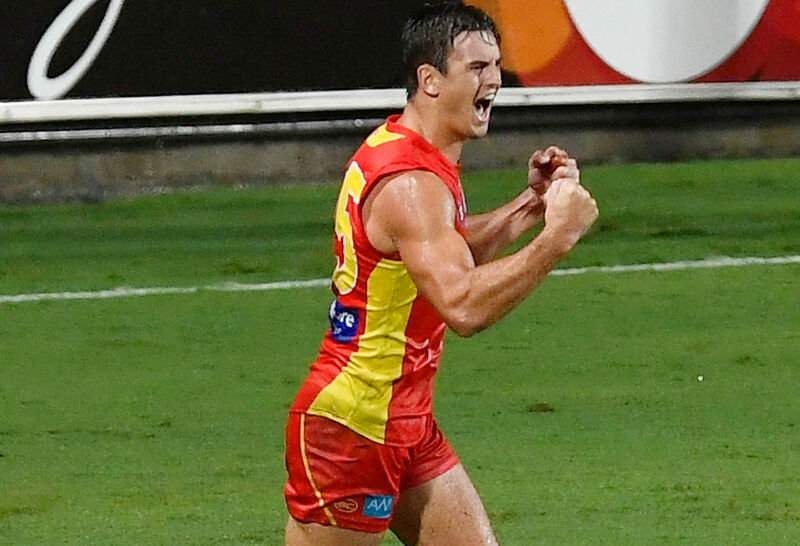 The moment any of Brisbane, Gold Coast or Carlton are up against a bidder from a top-eight club, as we have seen, not even more money can entice players to willingly sign up for four years of purgatory and no finals in sight. You could probably throw North Melbourne into that mix as well, and perhaps St Kilda. These clubs on the bottom find themselves in a situation where list management feel they have to be financially responsible and not saddle their salary cap with some massive outlays on a few players, but they also find that offers comprising an extra couple of hundred grand over few years don’t get players over the line anyway. Even Tom Lynch is still hesitating over an extra million bucks a year if it means staying at the Suns. So we come back to the player veto over trades. What I think the AFL needs to consider at this point is not a player veto on trades but rather a restriction on the clubs they can be traded to. I would argue that this ban should only apply to contracted players or anywhere where a trade deal is required. Unrestricted free agents can of course sign wherever they want. However, if the AFL were to implement a policy that clubs that finished in the top eight could not complete deals involving trades for players beyond development players and fringe types, essentially ensuring they could trade only in draft picks or rookies unlikely to have immediate impact, this would go a long way to restoring the balance between clubs that has been steadily eroded as a result of the natural inclination among the AFL playing elite to work and pursue their careers in successful, winning, well-structured environments. Placing a restriction on top-eight clubs would not be a restraint of trade; players would still be free to conduct trade deals to any of the other nine clubs available to them or alternatively wait it out and see what happens in coming years. What I think has been happening in recent years is that clubs are essentially managing to tread water atop the ladder or near to it. The window of contention is being propped ajar and left open by the continual import of success-starved key players from other clubs, who are enticed out by the prospect of winning a premiership. I can’t blame them for that, but I think the AFL needs to re-examine this rule. Against the backdrop of a culture of entitlement and in reviewing previously unquestioned privileges, I’m not so certain that the players have the moral right to insist on only being traded to teams where they can be playing finals. The AFL has a duty of care to prevent certain clubs from descending into the cellar and remaining there. 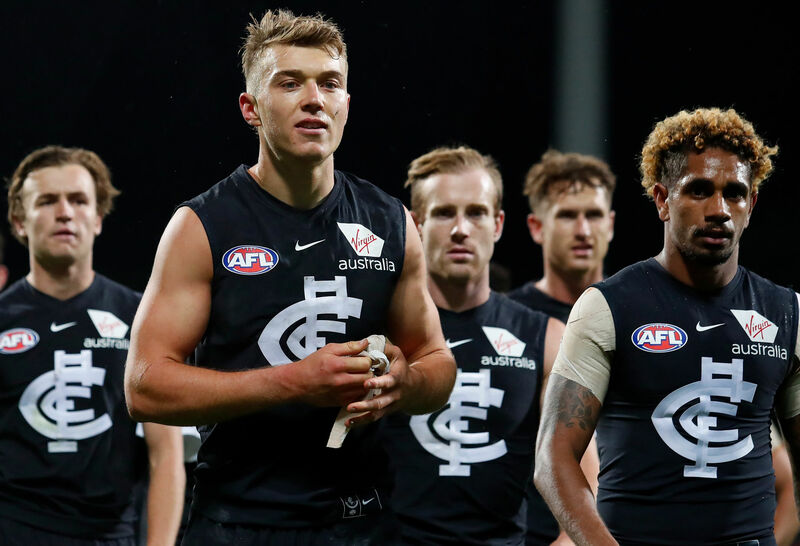 Brisbane and Carlton are going to re-emerge battered and bruised as it is, but I think the belief that they will inevitably re-emerge as contenders is looking increasingly misplaced. They will of course continue to attract players, but while they keep losing disenchanted types out the back door – and more importantly, while rival clubs continue to have the upper hand in negotiations with the premium talent available – the obstacle begins to appear insurmountable for these clubs. Of course there’s a host of other factors at play – coaching staff, travel, facilities, attitude – but it’s hard to encapsulate all of that in an article. Let’s stick to free agency and trades for the moment and if this gets some interest I’ll look at others.